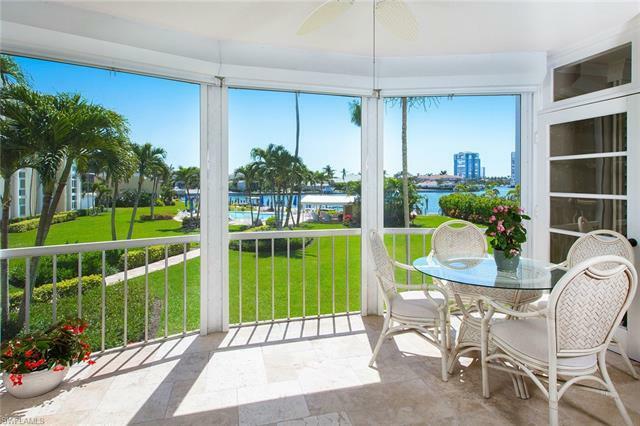 Enjoy sparkling views and colorful sunsets over Venetian Bay from a private, south facing lanai conveniently located directly off the living and guest rooms. Ample square footage, this three bedroom, three bath unit also offers a dining room off the eat in kitchen which was recently renovated to include white shaker cabinets, granite countertops and stainless steel appliances. Centrally located, being only a short distance from the renowned shops and dining in the Venetian Village and the sugary sand at the Park Shore private beach, this pet friendly community is a perfect Naples getaway. Upon availability residents are also eligible to purchase or lease a boat slip within the community. Selling Agent: Andrew Tennent, Jr.